The European eShop has once again offered a look at the next NeoGeo game lined up for Switch. 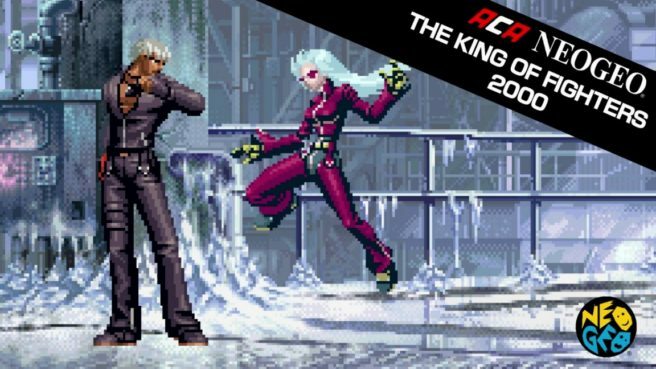 On August 10, The King of Fighters 2000 will be available worldwide. The King of Fighters 2000 is a fighting game released by SNK in 2000. Featuring numerous improvements from KOF ’99, KOF 2000 also introduces the all-new “Active Striker” system where players can enjoy exciting striker-based battle strategies. Plenty of nostalgic characters from the SNK Universe appear as “another strikers”. ACA NeoGeo The King of Fighters 2000 will be priced at $7.99 / €6.99 / £6.29.